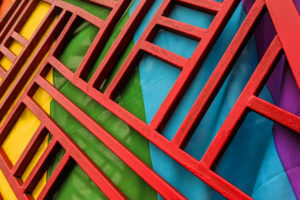 Imagine a place where being gay is celebrated, a place where there’s good food, drink, and games, a place that puts people in the LGTBQ+ community in positions of leadership. 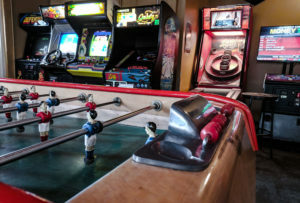 This place is no fairytale- it’s FIREFLY, a local restaurant and arcade. Helping light up the path of diversity for all restaurants, I met with Executive Chef Robyn, as well as her spouse Sabr, to learn more about the restaurant and how it’s affected their lives with in the pride community. Robyn first met the owner of Firefly, Melissa, at a networking and dance party (produced by Sabr and Melissa after meeting at Melissa’s consignment shop, ReThreads). When she found out Melissa was hiring for the food truck, Robyn jumped at the chance. She says she’s lucky to have a boss that truly cares about her employees. “Melissa is the hardest working person we have ever met,” said the couple. After working at Firefly, Robyn realized how important working at an LGBTQ+ accepting business really was. “It’s really nice to go into a work environment where I don’t have to worry about being fired for being gay… Melissa didn’t care about my sexuallity and it was nice to be treated as an equal in that regard.” Robyn explained that at Firefly you don’t have “to keep coming out to people over and over again” and you get to be treated as a person, but this wasn’t always the experience Robyn had while in Charlottesville. 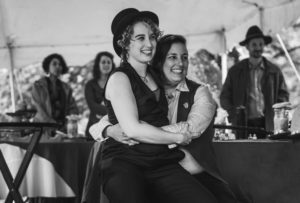 Robyn is a Roanoke native who felt “lucky to have a supportive family and community.” Unfortunately, on one of Robyn’s first visits to Charlottesville, she and Sabr took a walk along Water Street, “not even holding hands, we..[got] yelled at” which was very shocking for both of them. Sabr mentioned that they “have lived their entire life and have never seen that type of hate within the community” until the current administration. Charlottesville is known as diverse and accepting community, Sabr explained that “not all businesses are as accepting as Firefly. 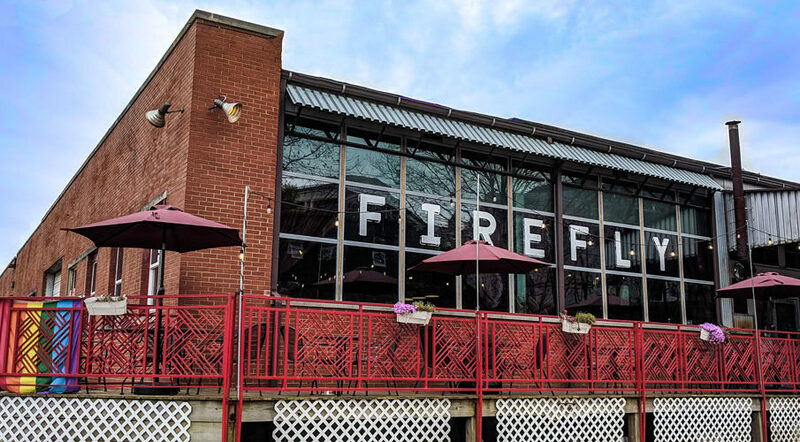 Generally, the gay community knows what businesses to avoid and not support.” Overall, with the help of places like Firefly, Charlottesville will become a safer and more accepting place for the LGBTQ+ community.